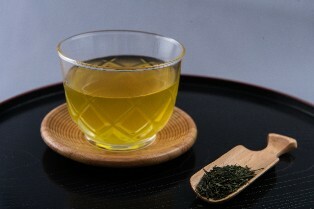 Ryokucha ('緑茶', is classified into beverage), is known as Green Tea in English, and 绿茶 (Lǜchá) in Chinese. Cha, Ocha, Agari, and Japanese Green Tea. Green Tea Leaf and Water. Tasty (A little astringent or bitter).